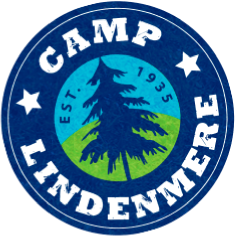 Lindenmere’s Extreme Sports program appeals to those kids that are looking to take a bit of a walk on the wild side! 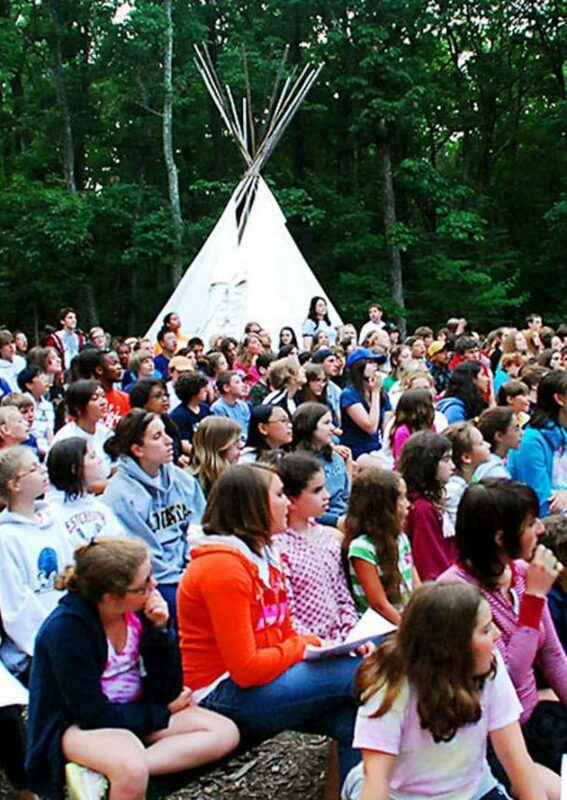 The program is designed to not only build the confidence of first time adventurers but to push campers to build their already strong skill sets. 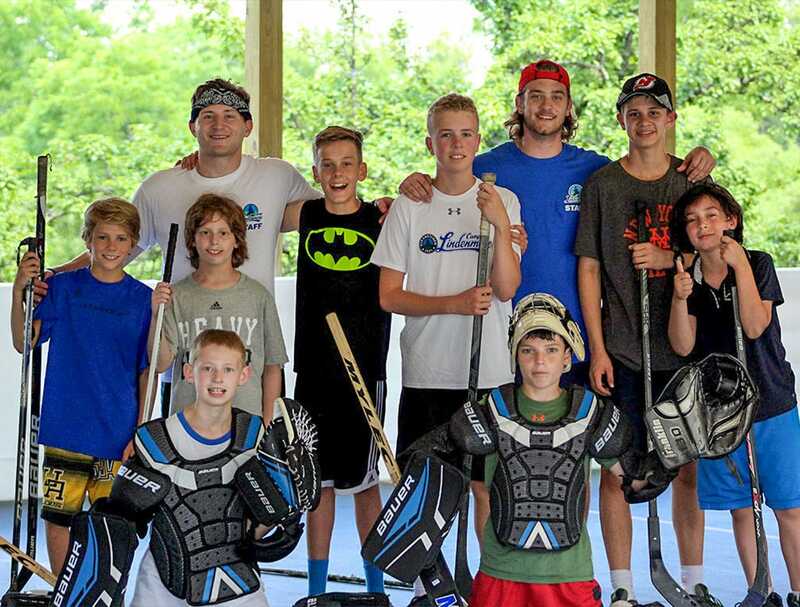 We are constantly adding new things to the program to keep things fun and exciting for our campers. 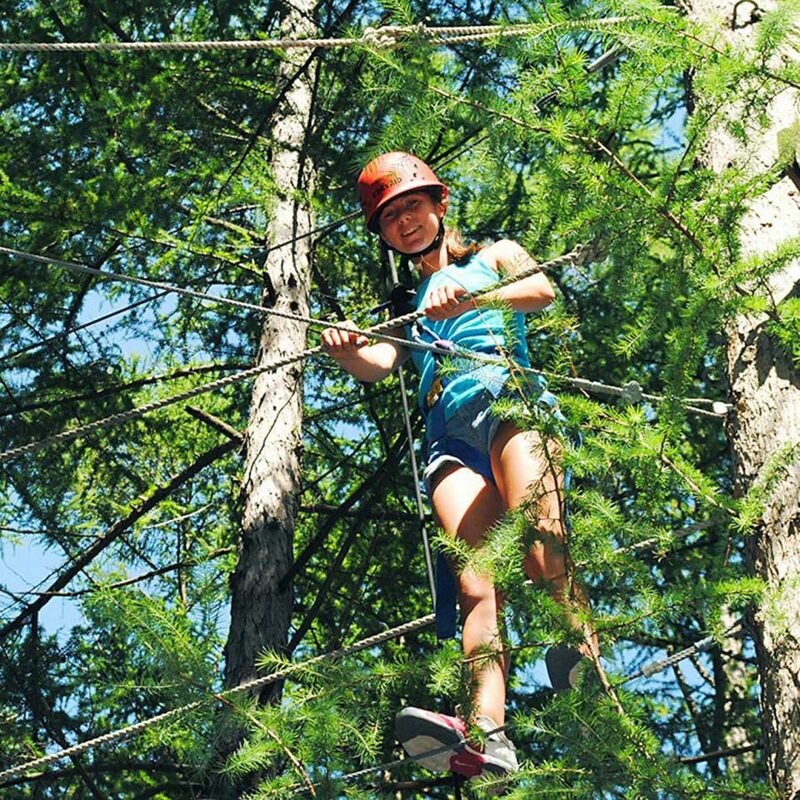 Our 21 element high ropes course offers challenges for every skill level. 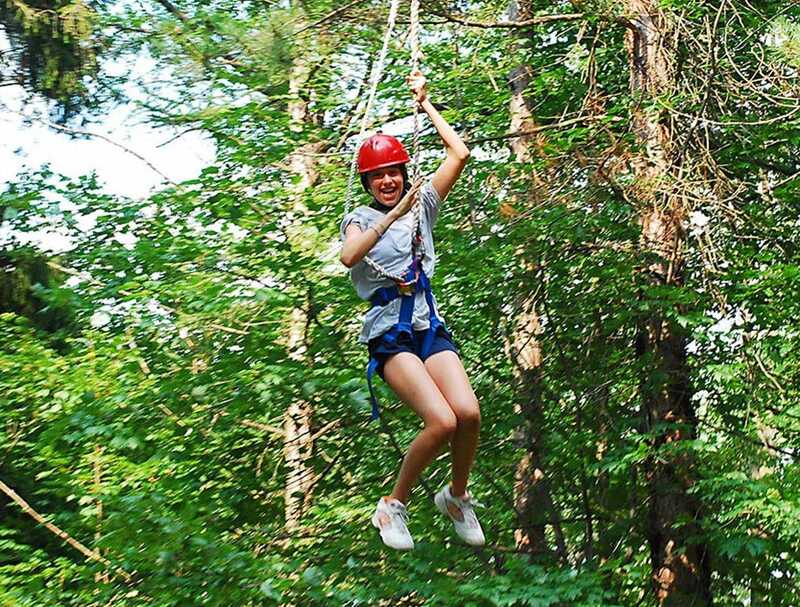 Beginners are able to focus on a single element at a time and more advanced climbers can take advantage of the circuit design where all 21 elements are linked together to form a true course, including a 400 foot zipline. All climbing staff are experienced climbers and trained on our course for 40 hours during our outdoor adventure orientation. 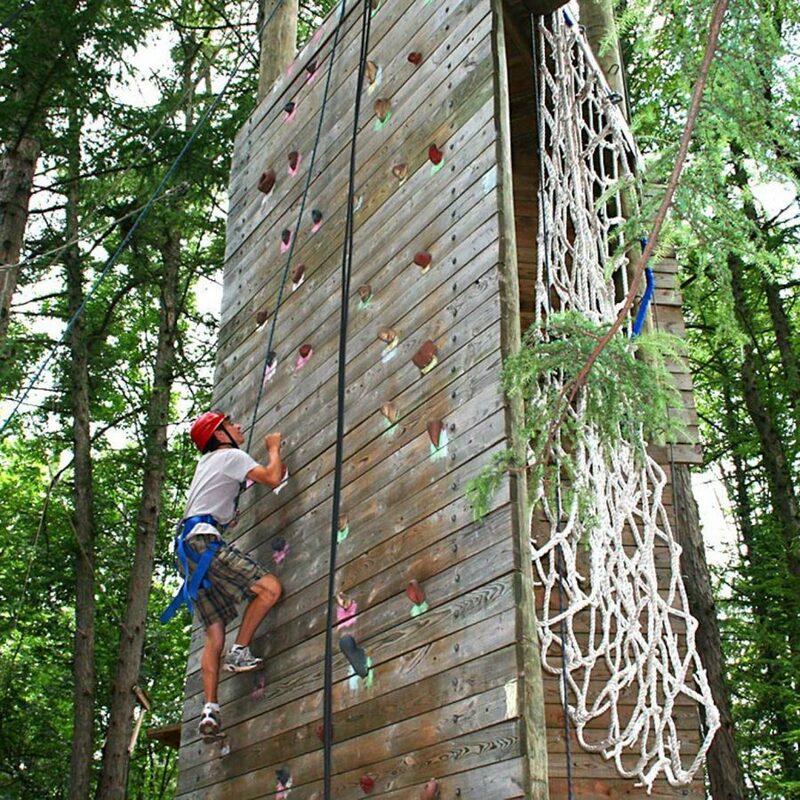 Our 25-foot multi-faced climbing wall has multiple skill levels built in it including a cargo net, over hangs, repelling station, varying rated climbing routes and is connected to the rest of the course. 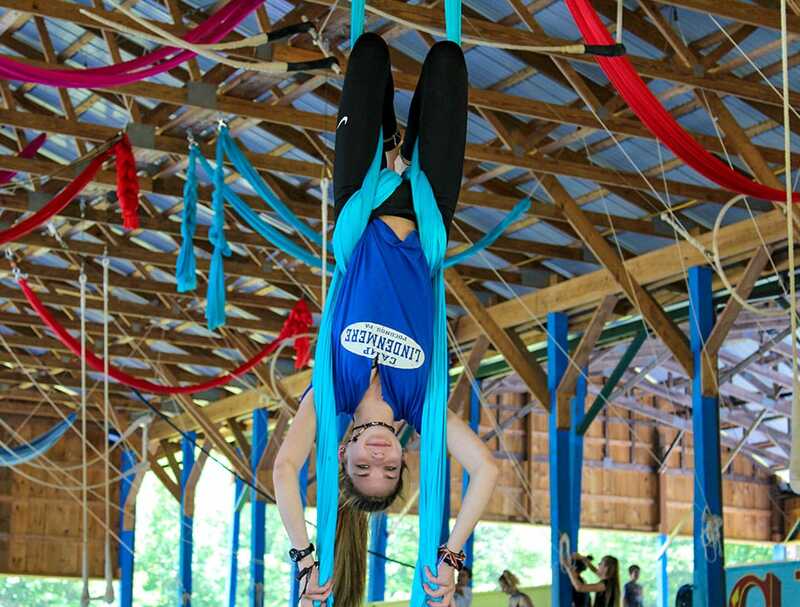 It can be used as a starting point for the 21 element high ropes course or just for those campers that want to work on their climbing skills. 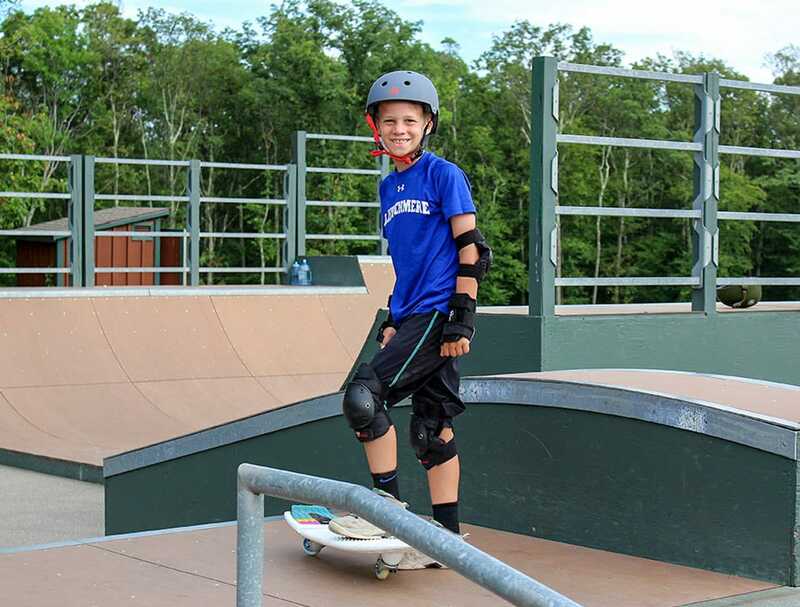 Our modern and unique 6,500 square foot skate park is extremely popular. 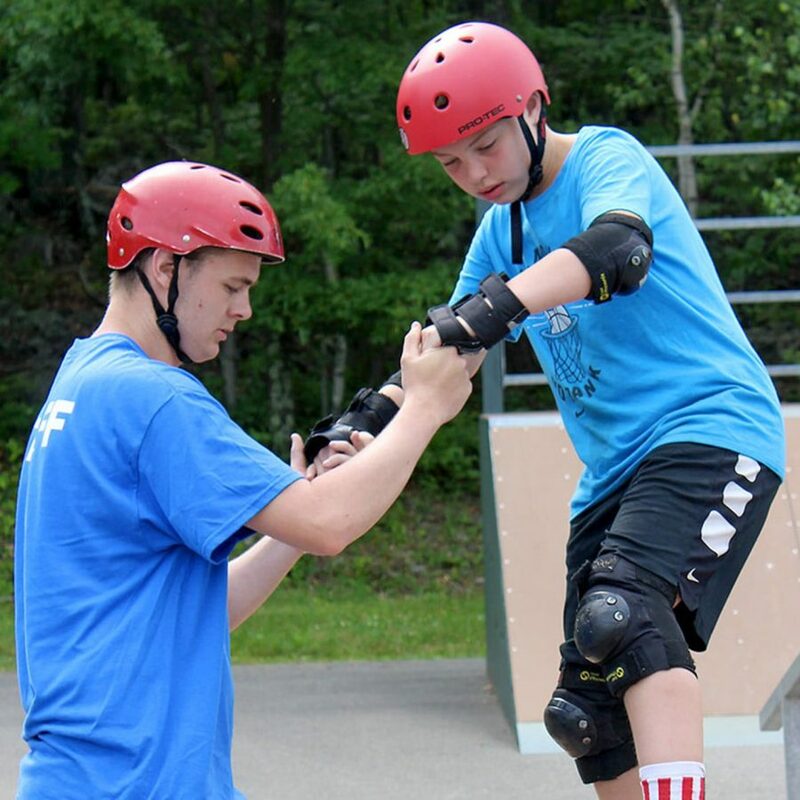 Whether you are a beginner just learning to skate or a more advanced skater wanting to learn new tricks, our incredible and safety conscious skate park counselors will help you improve your skills. Our skate park, highlighted by a 20 foot wide half pipe, also includes quarter pipes, box jumps, grinding rails, grinding boxes, bank ramps and stairs. We have new mountain bikes in varying sizes so that all ages of campers can enjoy riding. 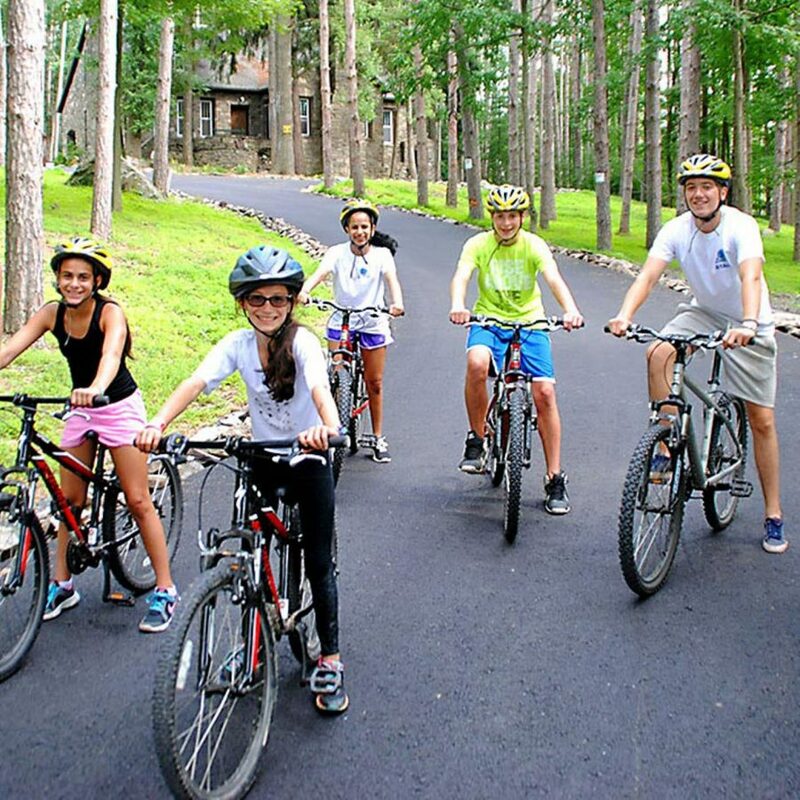 Our campers can mountain bike through miles of wooded trails on our 200 acres. Different trails are geared towards each ability level and all take you through the wilderness of our expansive property. 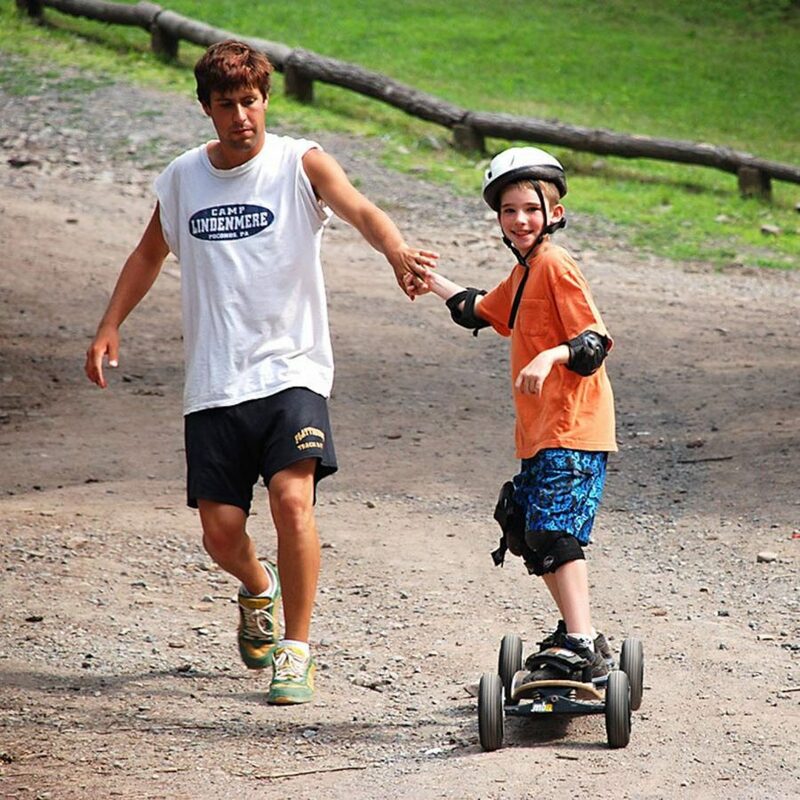 Mountain boarding, which is similar to snowboarding on wheels, is offered to our campers and is a popular activity. 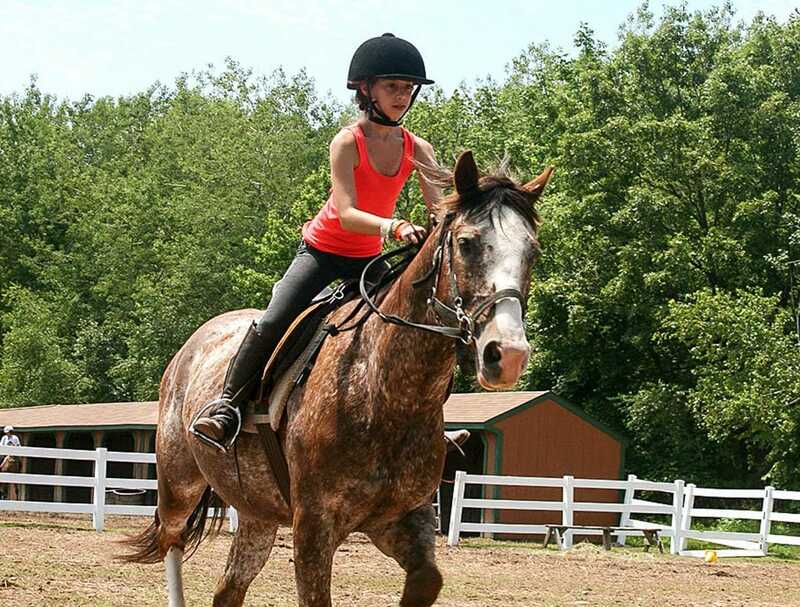 Campers are able to ride down hills and practice their turns just like if there was snow under them! Snowboarding on wheels, the latest trend in extreme sports! Go-karts and ATVs takes place on two professionally designed ½ mile tracks which cut through our naturally wooded setting. 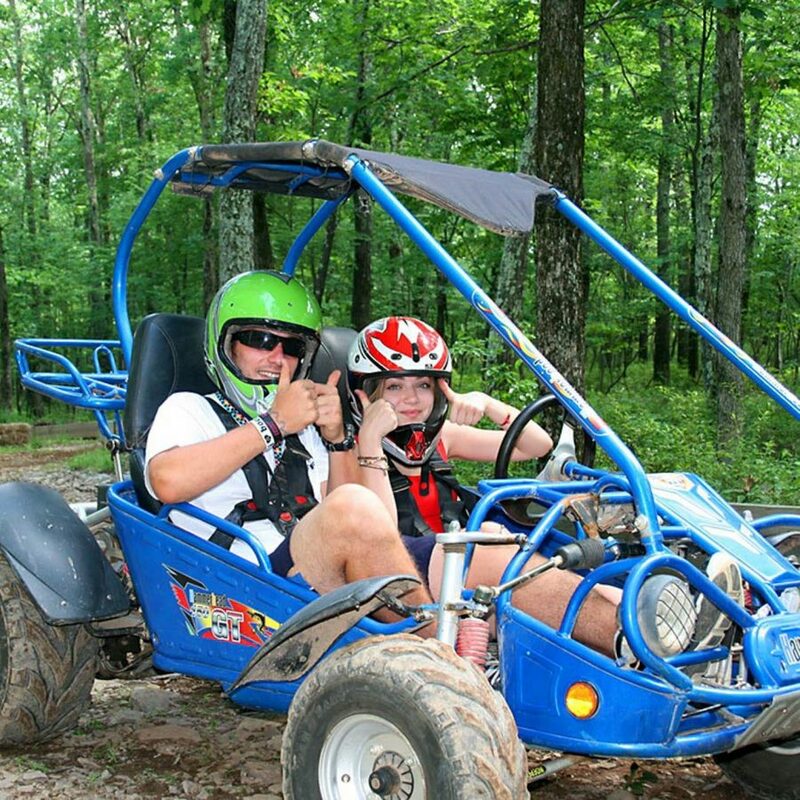 We only use the newest model go karts, ATVs and helmets to ensure a safe ride for every camper!